This listing tool is compatible for eBay, complete with a selection of HTML templates that you can edit to fit your personal design needs. There are zero coding/Photoshop skills necessary to create stunning listings and editing a listing takes only minutes or seconds. It's crazy how easy it is! 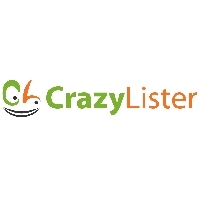 CrazyLister is compatible with eBay. Our SaaS solution is a web-based platform so all you have to do to start using CrazyLister is visiting our website, creating an account, and signing in! It's just that simple.